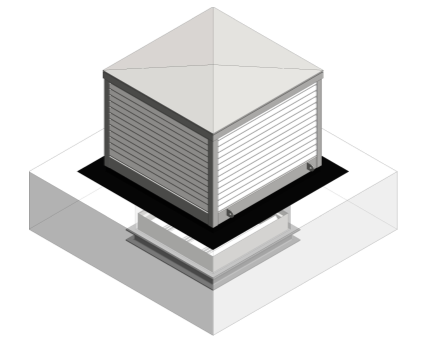 Breathing Buildings worked very closely with bimstore.co.uk to create a full library of BIM objects for the entire e-stack, passive stack and NVHR range. All free to download from this very page. The NVHR® (New) is the next generation of energy efficient hybrid ventilation offering almost 50% reduction in energy and operating costs. 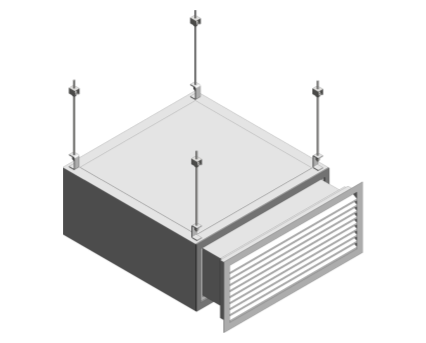 We kicked off in style with the NVHR – a low-energy ventilation system that’s been revolutionising the way single-sided natural ventilation is achieved. 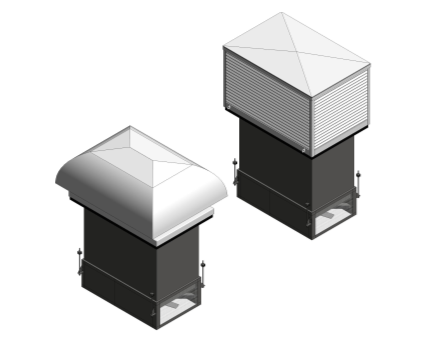 The e-stack R-Series unit is our best-selling roof system. 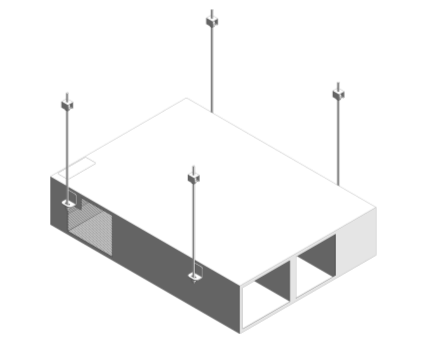 The user is able to select from Mushroom Cowl or Penthouse Louvre roof terminals, and can even check fixing details, unit handing and electrical connections. 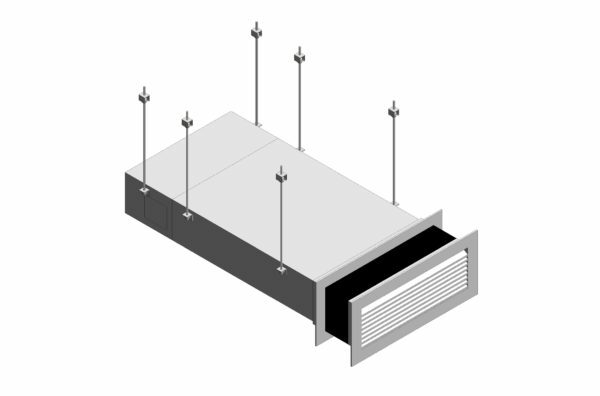 Next up is the e-stack S-Series – available in a range of sizes from 800 – 1500mm, and typically suitable for larger rooms such as halls, atria and other occupied spaces. 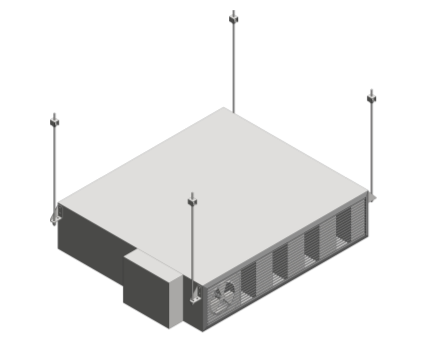 The e-stack concept is not limited to roof systems, as demonstrated by our F-Series range of facade-based mixing ventilation units, also available to download as adjustable BIM components. 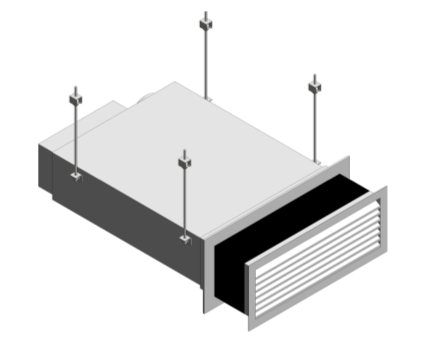 The facade louvre can be deselected on the F-Series to show/hide the wall aperture. The final offering in the e-stack range, our atrium-based A-Series unit – the A400 and A500 variety are both now available as fully selectable Revit files and BIM components. And last but not least, the Passive Stack systems. 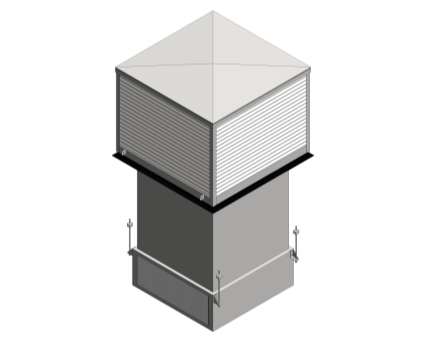 Often suitable to larger or double-height spaces, passive stacks form an integral part of many natural ventilation systems.